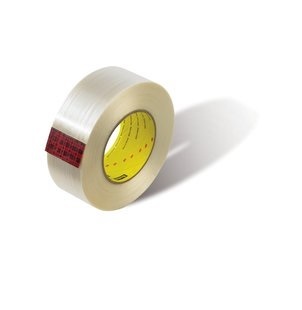 Scotch® Filament Tape 890MSR is a high-performance tape reinforced with continuous fiberglass-yarn filaments for very high tensile strength. The polyester backing offers excellent abrasion, moisture and scuff resistance. The adhesive is a modified synthetic rubber resin that combines high adhesion with long term holding power for use in a variety of metal working applications.